Skylum Luminar 3 won a TIPA 2019 award for “Best Imaging Software”. Luminar 3 is an excellent photo editing software, and a viable alternative to Lightroom. We offer you a $10 discount on Luminar 3, you pay $59 instead of $69 by using code “WATCH” on checkout. BELLEVUE, WA – April 2, 2019 — Skylum Software today announced that it is the recipient of the 2019 Best Imaging Software award by the Technical Image Press Association (TIPA), citing the software’s simplicity in organizing, editing and enhancing images. The TIPA World Awards ceremony will be held on May 17, 2019, in Tokyo, Japan. Skylum also received the award for Luminar in 2017, and this year’s award reflected the company’s commitment to consistent innovation and improvements. In addition, Luminar has received various other top awards, including those from Outdoor Photographer and the Lucie Technical Awards. Get Skylum Luminar 3 for $59 using code “WATCH” at checkout. Skylum has a flash sale on their winning Luminar 3 photo editing software. It’s discounted to $49 and you get an additional $10 discount by using code WATCH at checkout – your final price is $39. Please note: the $10 discount applies also to the bundles on offer. 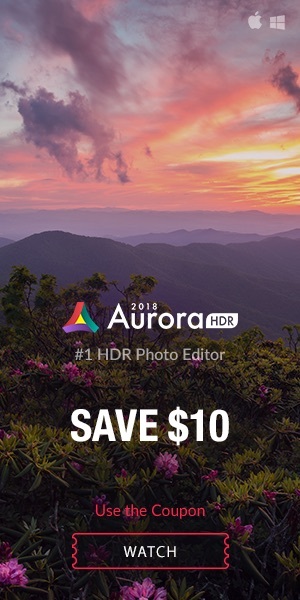 Until February 18 you can get Skylum Luminar 3 bundled with Aurora HDR 2018 at the special price of $119. Compare at $168. You can also grab Luminar 3 discounted at $49 instead of $69. Skylum is offering bonus items with their popular Luminar and Aurora HDR 2018 photo editing software. Both applications are discounted by $10 and you get an addition $10 discount with our exclusive coupon code “WATCH”. The offer expires today, 11/28/18. 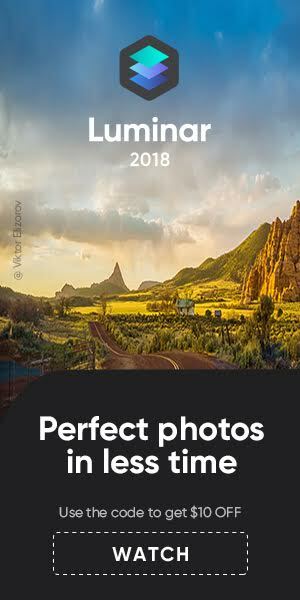 For Black Friday Skylum is offering bonus items with their popular Aurora and HDR 2018 photo editing software. Both applications are discounted by $10 and you get an addition $10 discount with our exclusive coupon code “WATCH”. Skylum Luminar is on the way to become a full fledged alternative to Lightroom. That’s a good thing since a lot of people is not willing to pay a monthly fee to Adobe in order to use Lightroom. Skylum announced that it will launch Luminar 3 with Libraries on December 18, 2018. Luminar is already discounted by $10 and you can get an additional $10 discount and purchase Luminar for $49 by using coupon code “WATCH” at checkout. Luminar 3 with Libraries will be a free update to Luminar 2018. In other words: you can purchase Luminar 2018 for $49 by using our coupon code “WATCH“, and then upgrade for free to Luminar 3 with Libraries.